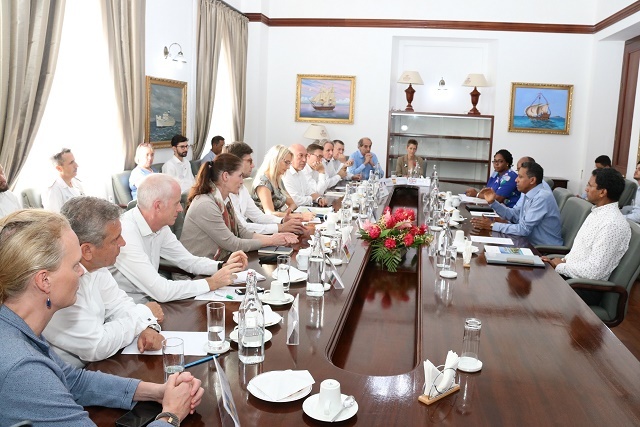 (Seychelles News Agency) - The European Union is determined to continue working closely with Seychelles in the field of maritime security, the blue economy, climate change and regional integration, Ambassador Marjaana Sall said on Thursday. Speaking at the sixth political dialogue between Seychelles and the EU at Eden Bleu, Sall said that Seychelles is an important and valued partner of the EU in a strategic region. “The EU stands by Seychelles and works hand in hand with the Government to address global challenges and promote common interests. During today’s dialogue, we seek to reaffirm our shared interest in supporting peace and stability in the region, and the importance of acting together internationally as partners for multilateralism,’ said Sall. The political dialogue held in Seychelles from November 7 to 9 falls under Article 8 of the Cotonou Agreement signed between African, Caribbean and Pacific states and the EU in 2000. In this context, the EU reaffirmed that in the future, agreement-specific attention will be paid to the vulnerability and fragility challenges faced by SIDS and coastal populations, especially the threat posed by climate change. The EU is already a solid partner of Seychelles for climate change adaptation and one of the key components of its programme of SCR 46.2 million ($3.4 million) is the prevention of flooding on La Digue Island. The EU has also financed a solid waste landfill at Providence. In the dialogue on Thursday, the EU announced that it has agreed to finance a master plan for the solid waste sector. The two sides also reaffirmed their interest in pursuing the fisheries partnership agreement and in launching the negotiations for the successor agreement in the first half of 2019. Seychelles and EU agreed to align their positions in areas of common interest at the Indian Ocean Tuna Commission. Also discussed during the dialogue was the importance of solid and independent institutions and EU announced further assistance for capacity building of State institutions and for the fight against drugs. Trade was another subject discussed and both parties agreed that attracting international investors requires a stable and transparent investment and business environment. The EU remains Seychelles' number one trading partner, and its largest export market, and under the Economic Partnership Agreement offers Seychelles' exports complete quota-free and duty-free access to the EU market of 500 million consumers. At the end of the dialogue, Vice-President Meriton said that the discussions conducted in total transparency and openness have enabled the sharing of information and to look at the progress of EU funded projects in Seychelles. The EU and Seychelles have a partnership which started in 1977 and for over four decades, Seychelles has received $45.3 million in development aid under the European Development Funds, covering various sectors, from the environment to economic reform programme and education. 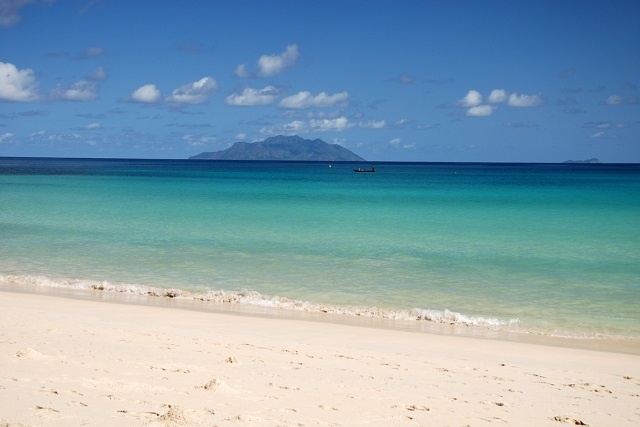 For 2014-2020, Seychelles has received an allocation of $11.3 million.